As published in NZ Herald, Hawke's Bay Today. Deadlines can bring out our best work. Why is that? There's something about being under the pump that makes us rise to the occasion and simply get it done. We just find a way somehow. This time of year - before June runs out - is the deadline to get the annual $521 from the government into our KiwiSaver accounts. It would be great if we could all look at our situations - and consider those around us who may be missing out on the practically free money. If they're over 18, we might even help them top up their accounts so they get the most they can. So many of us get the full amount that it's a shame for anyone to miss out what's due to them. And over the life of someone's experience in KiwiSaver, we calculated the government payments could be worth as much as $36,000. Now there's a chunk of change for you. If you're an employee and earned at least $34,762 and contributed the minimum of 3%, you'll automatically get it. If you're self-employed and have already put in more than $1,043, you will too. No worries. But if you haven't yet reached $1,043 this year, now's the time. Before the end of June, you can top up your contributions to that amount so you get the government boost. Simply contact your scheme provider and make it happen. Just in time to make the deadline. And typically by the middle of August, we'll all see that extra $521 hit our accounts. Sweet. If you miss this deadline and don't manage to put in the full amount, you'll still get 50 cents for every dollar you did put in. That's worth something. But let's look ahead to next year. The KiwiSaver year runs from July to June, so this coming July is a chance to reset our finances to make sure we're on track to for next time. If we set things up right, we can easily be on the money in June 2018. Over a year, putting in $1,043 works out to slightly more than $20 per week, which is far more manageable than having to come up with the whole amount just before the deadline. Automatic payments directly into our KiwiSaver accounts are our best friends here, allowing us to forget all about it and let it run on autopilot. Contact your provider to make this happen. Out of sight, out of mind. And when next year's deadline rolls around, we'll all be ready. We, humans, tend to prefer avoiding losses than securing gains. That's why volatile financial markets make us feel so anxious. Helping us to find a balance amid these natural emotions is the mark of a good advisor. To understand the value of good advice, it helps to reflect on the cost of bad advice. And that has been evident in recent years as millions of people were pushed into strategies incompatible with their needs and risk appetites. Bad advice means pandering to human emotions by exploiting greed and fear. It means pursuing high returns in the good times with little attention to risk and fleeing from risk in the bad times with no regard for return. Good advice means taking the emotions out of the equation and showing us what we can and can't control. We can't control the ups and downs of financial markets. We can control the risk in our portfolios through broad diversification, astute asset allocation, and regular rebalancing. Just having a detailed plan designed for our own risk appetites, lifestyle needs and long-term goals goes a long way to remove the anxiety from the investment process. During volatile markets, knowing that we have a diversified portfolio helps manage our personal tolerance for risk. Bad advice panders to the view that the best way to invest is to attempt to time our entry and exit points. We are either in or out of the market. Getting that decision right, however, is notoriously difficult â€” even more so these past two years when risk assets undertook a complete u-turn. By contrast, good advice stresses the virtues of discipline and patience. And that doesn't mean blindly sticking to a buy-and-hold strategy. Regular portfolio rebalancing actually gives investors control over the risk in their portfolios. After a run-up in riskier assets, they can legitimately sell down the stronger performing asset classes and rotate into the poorer performers to bring their own intended asset allocation back on track. Another way of looking at this rebalancing process is that the investor is selling high and buying low. This isn't a timing strategy, by the way, but a means of managing portfolio risk so the investor sticks to the original plan. The absence of regular rebalancing was evident during the financial crisis when many investors found their portfolios had drifted out to the frontiers of risk without their knowledge or consent. The consequences for their long-term wealth in many cases were disastrous. But just as a lack of rebalancing can throw a portfolio out of whack and undermine the targets of the original financial plan, too frequent rebalancing can be costly. These costs include fixed costs such as administrative charges and potential platform costs, alongside proportional costs such as buy/sell spreads, broker commissions, and capital gains taxes. So the decision for advisors about when to rebalance often comes down to a question of balancing the benefits of keeping the portfolio within the investor's risk profile against the costs of changing the asset allocation. This decision is as much an art as a science. As such, there is no one 'right' answer, and the issue often can be dealt with by creating a 'hold' range within the portfolio. The example in this graphic uses a balanced portfolio with a target ratio of 60% equities. In this case, the advisor has decided to allow a 5% buffer either side of this target to achieve a practical equilibrium between the need to maintain the broad asset allocation while minimising costs. Aside from setting a non-trading region, another consideration in rebalancing is to use natural cash flows from regular contributions by the investor and cash distributions. That way the advisor reduces the need to sell securities, thus avoiding some of the costs of rebalancing. Unlike the actual movement of markets, all these decisions are within the control of advisors and their clients. The result is the maintenance of a financial plan that the investor can live within the best of times, the worst of times and all the bits in between. Markets are unpredictable. We can't change that. But we can build an asset allocation that successfully builds a bridge between our tolerance for volatility and our long-term investment goals. With occasionally rebalancing to ensure the asset allocation continues to match our risk profiles, we can sleep better at night. That is the value of good advice. Is your Australian Personal Insurance Paid out of your Super? Currently there is over $17 billion dollars in unclaimed superannuation, which is not an insignificant sum of money and we anticipate that a large proportion of these funds are for Kiwis. The cordial relationship we have with our closest neighbors, (outside of the rugby pitch!) means that we enjoy the opportunity to live in each other’s back yard. With golden beaches and a warmer climate there are estimated to be over 500,000 Kiwis living in Australia, and a larger number who have lived and worked there, before heading back to the land of the long white cloud. Whilst NZ was a little slow off the mark with setting up KiwiSaver in 2007, Australia was ahead of the curve. Australia enforced compulsory superannuation in 1992, building on the superannuation system they had in place for union members, whereas KiwiSaver is still not compulsory. One of the interesting side effects of superannuation in Australia is the tie with personal insurance, such as life and income protection. Approximately 87% of all insurance policies in Australia are written on the back of compulsory superannuation with insurance premiums paid directly from the member’s super fund. In NZ, the KiwiSaver act governing KiwiSaver schemes prevent this occurring. For the returning Kiwis that we meet, who have Australian superannuation, they are aware of the insurance cover they have in place in Australia. Unfortunately, they could be paying for something that does not exist. Most of the insurance policies that we’ve read through have clauses that mean once you have left Australia, are no longer a resident of Australia, or have not been a resident for two years, then you are no longer eligible for the insurance cover. Even though you are no longer covered doesn’t mean you stop paying for the cover. If you didn’t know the policy rules and haven’t opted out of your insurance, the premiums will continue to be taken out of your super fund. We can’t let this underarm incident to continue. If you are no longer in Australia and not contributing to your superannuation funds, these insurance premiums will reduce the return on your funds until you either cancel them or bring your funds back to New Zealand. Ultimately, this could lead to those funds whittling away to nothing, while our Australian cousins take funds off you for something that doesn’t really exist, laughing all the way to the bank. This, along with the other benefits of reduced costs and greater control of your retirement funds mean 'why wait'? You should be looking to transfer your Australian super back to New Zealand today. Get in touch with your KiwiSaver adviser to get the process underway and if in doubt, call the Australian Super specialists at Stewart Group for a no obligation discussion on your situation. In a coup for Hawke's Bay, wealth and risk management specialist Stewart Group is now an asset consultant for Fidelity Life's KiwiSaver schemes that include Texas-based Dimensional Funds Advisors' (DFA) funds. Dimensional is the eighth-largest fund adviser in the United States. "The Asset Class Conservative Kiwi Fund and Asset Class Growth Kiwi Fund Asset with Dimensional's strategies are unique, giving everyday investors the opportunity to have to engineer from the best minds in modern finance within their own New Zealand-based investment," company director Nicholas Stewart said. Once KiwiSaver members join the Fidelity KiwiSaver Scheme they can tailor their investment profile by blending holdings across up to four funds. The biggest drawcard is expected to be the option of moving to the Asset Class Conservative Kiwi Fund and/or the Asset Class Growth Kiwi Fund having their KiwiSaver contributions invested mainly in DFA (Australia) funds. "Dimensional funds are generally not accessible to mum and dad investors because the minimum investment level is too high and they are not open to the public," Stewart said. 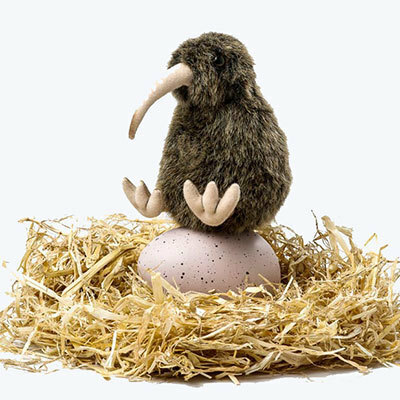 "There are only a small number of DFA-accredited New Zealand financial advisers offering Dimensional funds - and none in the KiwiSaver market." The Asset Class Funds will not charge performance fees. "We believe fund performance is a result of market performance, not manager stock selection or market timing." Stewart said KiwiSaver funds were closing because providers were seeking increased economies of scale "to make more money". "We came about this not to make a dollar, we came about this because we wanted to do the best for our clients. And that's rather unique." Stewart met DFA director and Ivy League professor Ken French 11 years ago while Stewart was a 25-year-old graduate, on holiday from his job at a merchant bank. French's academic research has become the basis upon which Stewart bases investment strategies. "I was in Canada skiing with a girlfriend and her family's wealth was managed by Dimensional," Stewart said. "Her father said I think you need to talk to my adviser because there is a different way of thinking. The little boy from New Zealand was given an introduction - an introduction that is hard to quantify in terms of its value for me." When KiwiSaver has launched five years ago, Stewart pitched the idea of Stewart Group tailoring its own KiwiSaver fund to his father and fellow director Donald. "I said to him, 'we cannot give advice when we cannot put our hand on our heart and say it's perfect and aligns with our investment philosophy.' Which meant all of a sudden there was an area of the advice market that we were saying no to. You can't keep going like that - our clients need advice in certain areas. "So we said if we can't get a product, we will make a product. "A lot of the Dimensional guys had become friends, so when I put this into their world and said, gentlemen, I need you to help me to bring something better to New Zealand. "We are from a small province that exports apples and lamb and we were asking for something pretty big. "You can imagine the discussions in Austin, Texas, 'Hastings where?'." The Americans came to the party, literally, at the Scots-themed launch on Friday in Hastings. And why didn't Mr. Stewart mention the Canadian-girlfriend connection in his launch speech? "Hell no, my wife was inside."